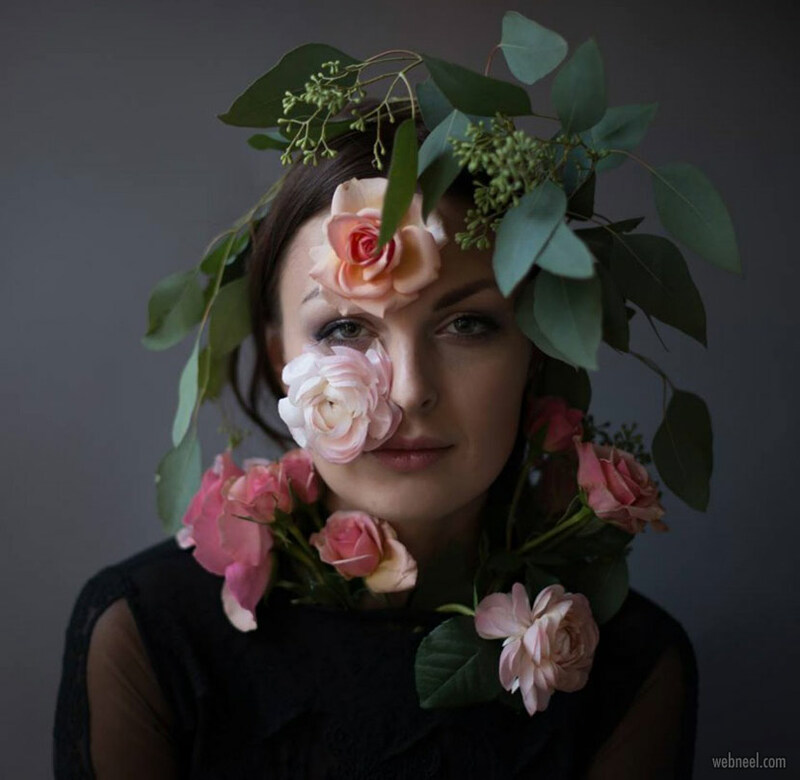 Here are some beautiful portrait photography ideas for everybody. 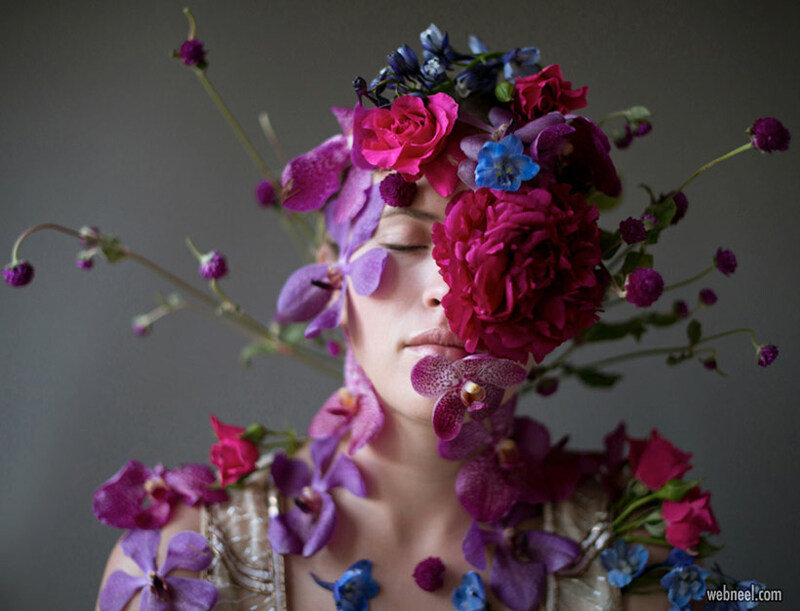 Fallen flowers raise emotional feelings in people, likewise rain is also a powerful feeling. 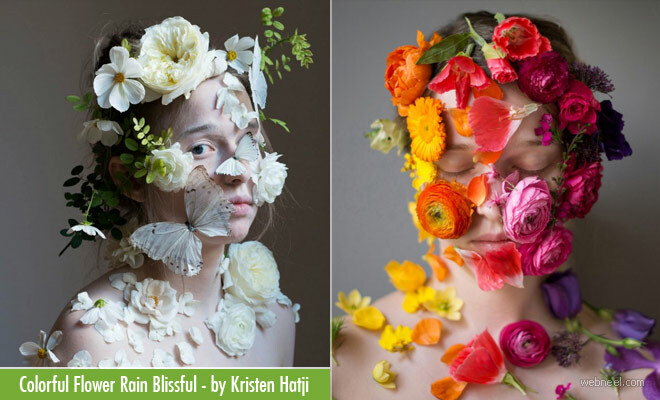 The emotion is well caught by the talented photographer Kristen Hatji. 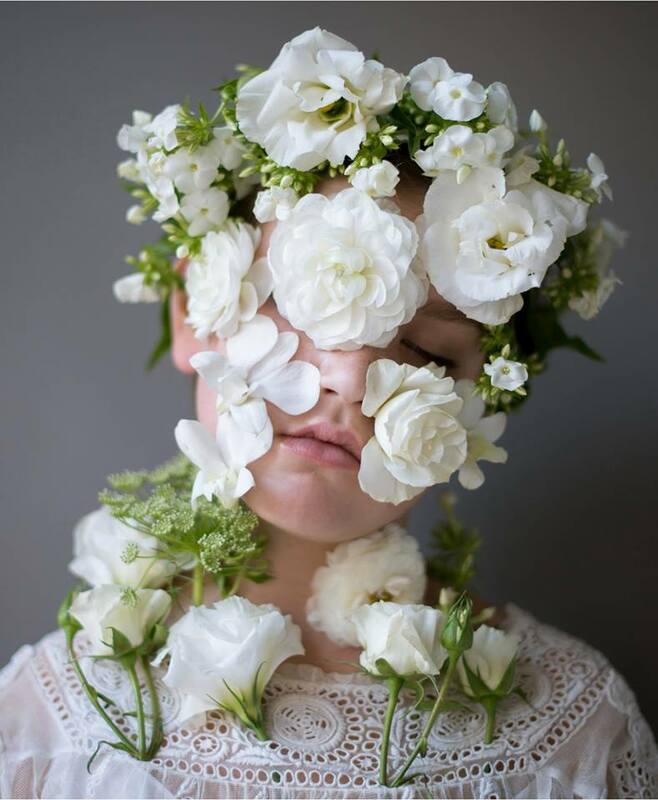 Flowers are fragile, but very beautiful and similarly the photographer has chosen apt subjects(women, children) for the portrait photography. 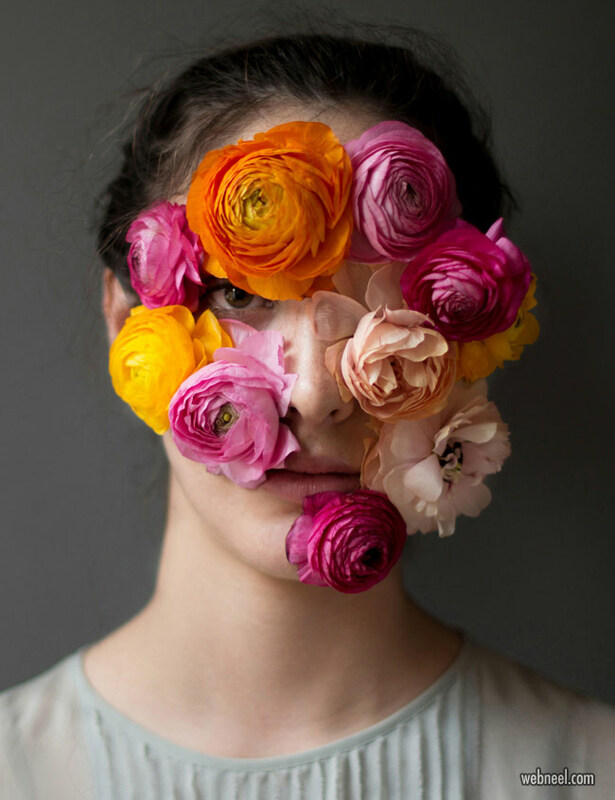 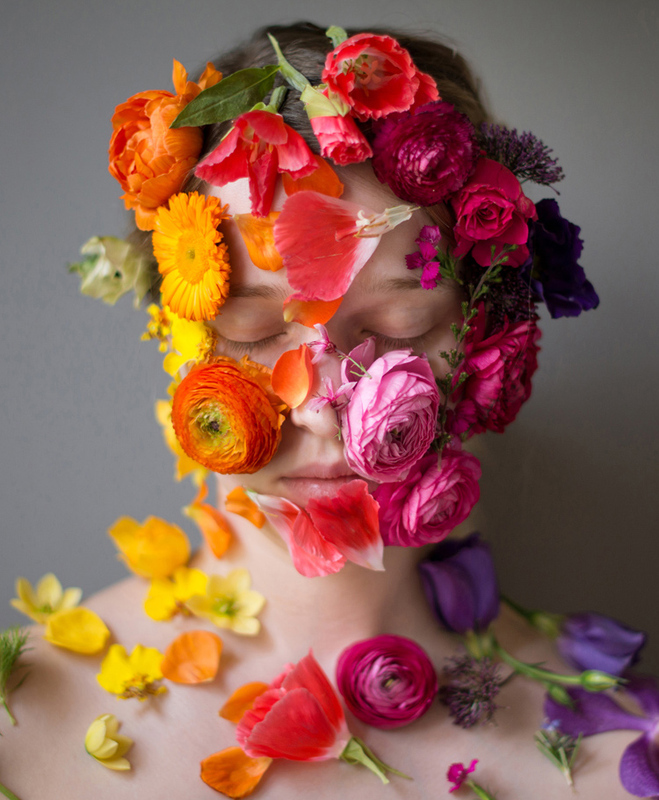 The flower face photos totally engulfs the faces with colorful flowers, petals and leaves leaving a little peep hole for one eye. 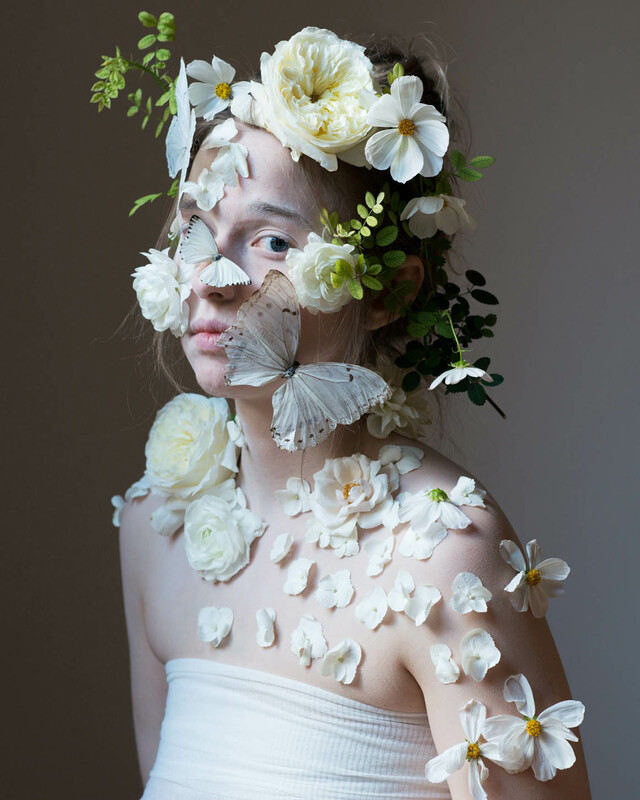 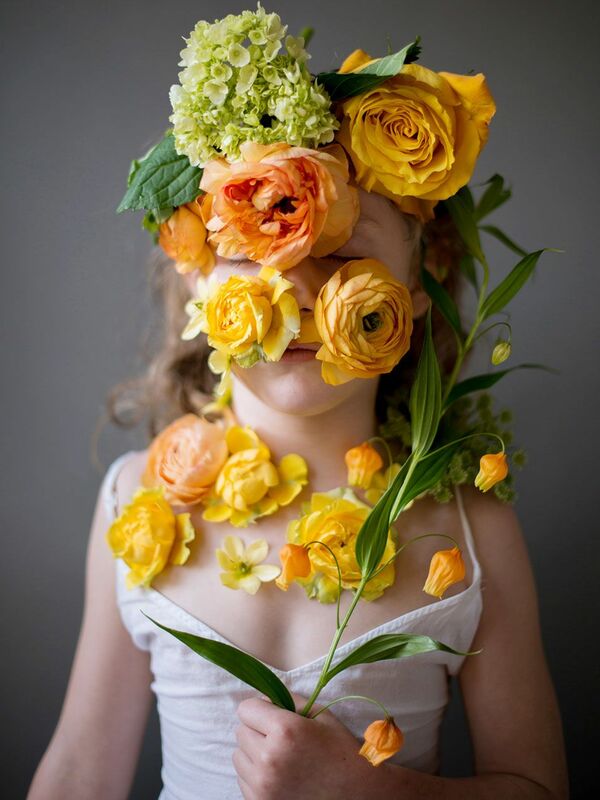 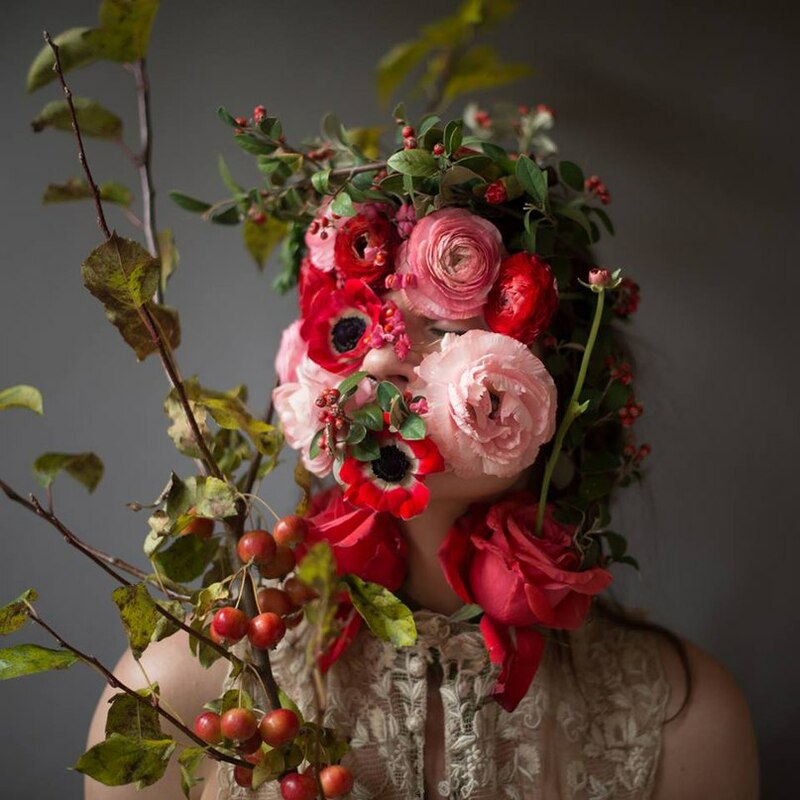 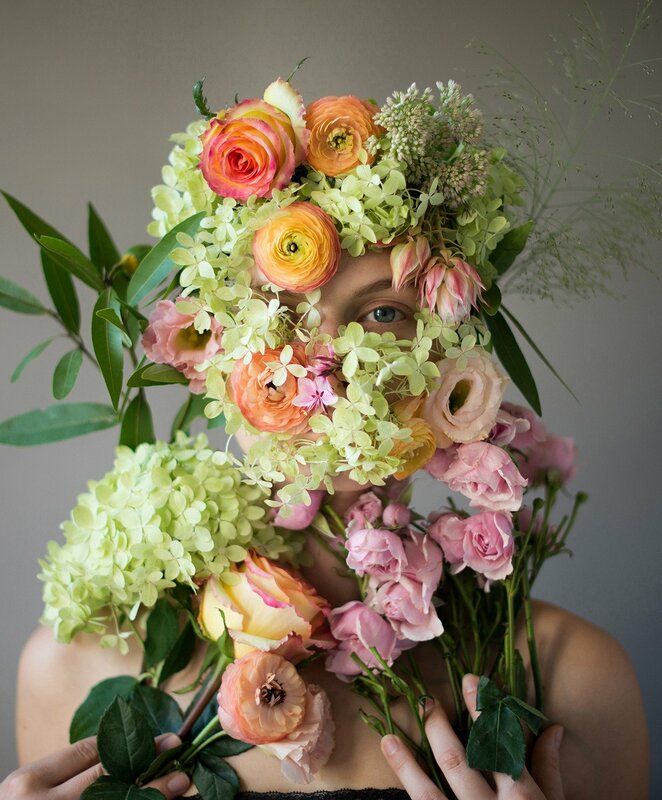 You can see the models either holding the flowers or the flowers or stuck on their faces and we absolutely love the creativity. 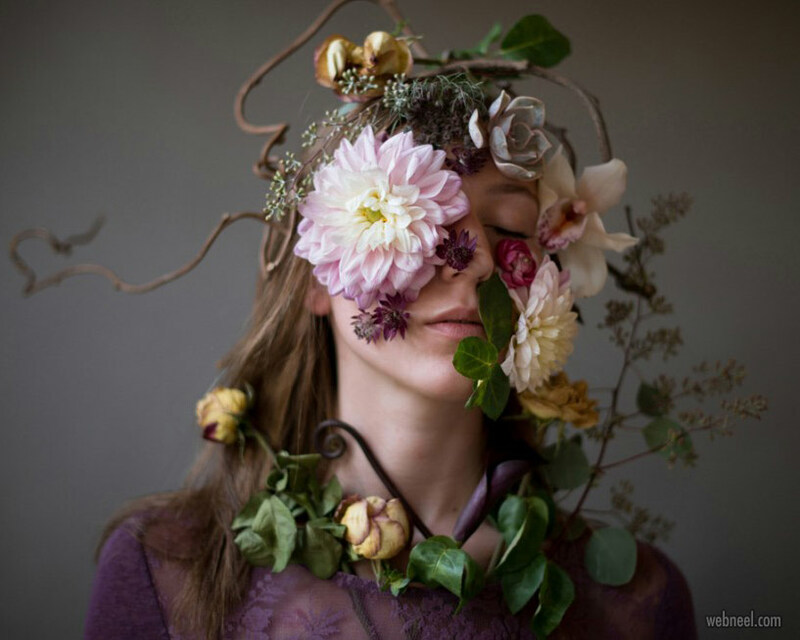 I'm sure the studio would have been smelling like a garden with such beautiful flowers strewn everywhere. 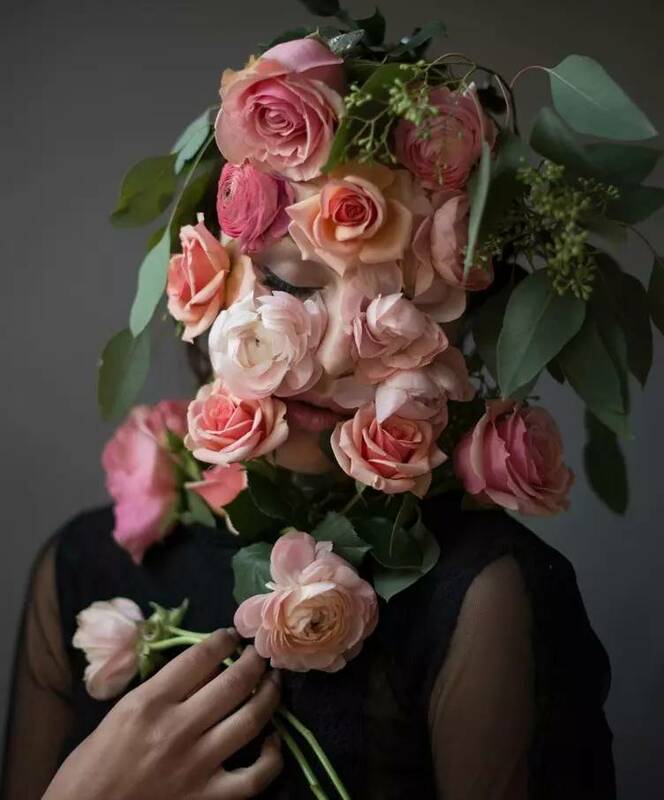 In Indian movies, if you see a happy emotion, immediately you will be transferred to a fairyland with beautiful flowers and it's a calming sight for the viewers.